The Formula Money SPONSORSHIP DATABASE is a unique tool for anyone who needs to find out more about Formula One sponsorship. Every F1 sponsorship deal since 2005 is valued in the database, covering team sponsors, suppliers, series partners, race title sponsors, trackside advertisers and team owners. Subscribers can search our full database of current and historic sponsorship data and generate graphs and diagrams of the results. The report draws on the extensive experience of the Formula Money team and uses data that has been compiled for use in our reports over the course of more than a decade. The database gives an amazing insight into trends in F1 sponsorship and is a crucial tool for decision making when spending in the sport. It’s ideal for anyone wanting to know more about the F1 sponsorship industry, including existing and potential sponsors, agencies, investors in FWONK, team management and owners, and executives from other sports and the teams that compete in them. Formula Money’s economic impact reports have been commissioned by some of the biggest races on the calendar and highlight not only the direct financial effect of the race on the local area, but also the value of the global exposure generated by hosting an F1 race. Formula Money has worked for circuits at all stages of the race hosting process, from pre-contract to the build up to the race to post race analysis and contract renewal. Our clients include the Australian, Brazilian, Bahrain, United States and Mexican Grand Prix, which has commissioned Formula Money economic impact reports for all of its races since it returned to the F1 calendar in 2015. 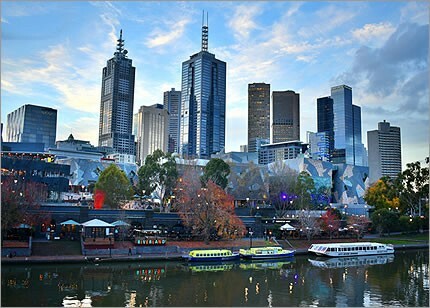 Each report is fully customised to the host city and looks in detail at the effects of hosting a race, either by analysing the existing event or projecting the economic impact and exposure value of a new race based on the experiences of other race hosts. 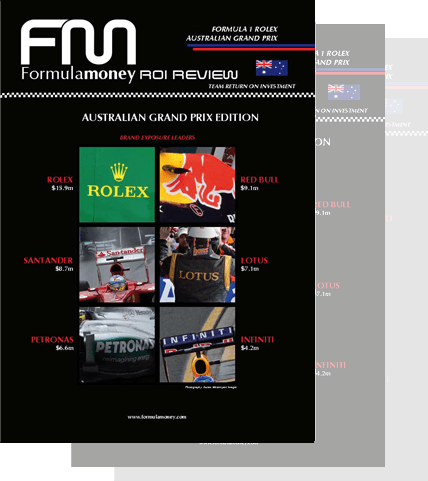 Formula Money’s Grand Prix Attendance Report launched in 2016 and is now on its third edition. The report reviews F1 attendance and ticket prices over the past decade and accumulates 10 years of research, analysing the data to identify the key trends affecting race attendance over that period. At 150 pages the Grand Prix Attendance Report is the essential annual guide to the state of play of Formula One’s races. 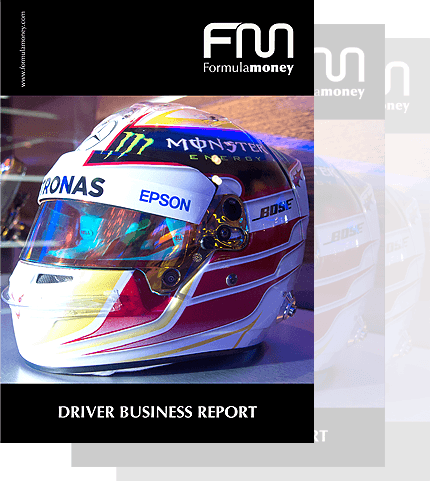 The Driver Business Report is a specialist research report that looks at the key figures behind the business of Formula One’s drivers. The report contains expertly compiled data which has been estimated from research by Formula Money’s team, including information on driver salaries, driver sponsorship, predicted career earnings, the most successful junior formulae at producing F1 drivers, and data on how interest in a local driver can drive interest in F1 in specific markets. This is an important publication for anyone looking to better understand the roads to F1 or to analyse one of the teams’ biggest costs. Formula Money’s ROI Review data reports show the advertising value equivalent (AVE) of brand exposure for all on-car sponsors, team owner brands and trackside advertisers at each race. The ROI Review allows readers to track the financial performance of key stakeholders such as teams and sponsors. We can compile reports for specific brands or groups of brands, focussed on specific races or longer periods of time and provide data organised by team or race. 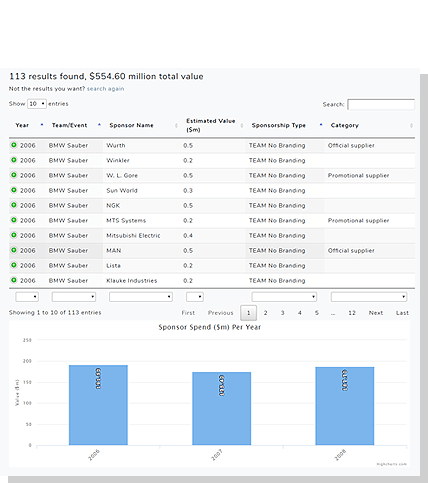 Further data based on our sponsorship values highlights the value for money of sponsorships. 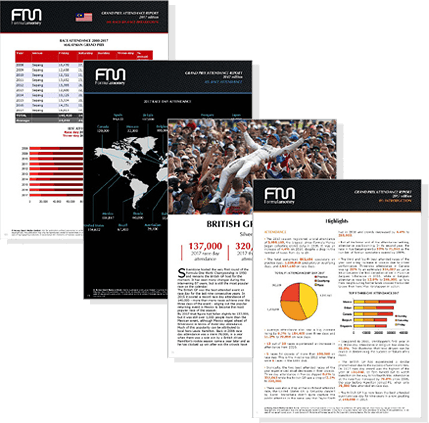 Are you looking for data on a specific area of Formula One business or need research that is specifically tailored to your project? We offer a wide range of bespoke research services covering areas from commercial rights, to team budgets, to the business model of the sport. We also offer consultancy on the business of F1.